Single file download with all specification files in this release (dated April 9, 2019; 10.6.MB). Read the OCF 2.0.1 Specification Introduction and Overview for more background. This specifies the OCF core architecture, core features, and protocols to enable OCF profiles implementation for Internet of Things (IoT) usages and ecosystems. The OCF architecture is based on the Resource Orientated REST architectural style. OCF Framework of core features is described and a resource model to construct resource instance is defined in detail. Additional functional interactions (CRUDN, Messaging, Discovery, Monitoring, and Maintenance) and necessary resources for transaction are specified. Various vertical specifications (e.g., Smart Home or Healthcare) use the models and procedures defined in this document. Download the OCF 2.0.2 Core Specification. The Security specification defines security objectives, philosophy, resources and mechanism that impacts OCF base layers of the OCF Core specification. The Security specification includes device identity, authentication, provisioning, establishing network credentials, authorization and access control within the OCF Resource-oriented architecture. Security topics also include confidentiality, message integrity, resource persistence protections, and securing exchanges between local and remote devices or hosts. Download the OCF 2.0.2 specification. The Bridging specification specifies a framework for translation between devices in OCF and non-OCF ecosystems. It specifies general requirements for resource discovery, message translation, security, and handling of multiple bridges. Further, it provides specific requirements for translation between OCF and AllJoyn ecosystems including mapping of core resources, propagation of errors, and algorithmically translating custom resource types; and it refers to OCF to AllJoyn Mapping specification for translating well-known resource types. Download the OCF 2.0.2 Bridging Specification. The Resource Type specification specifies a base resource schema for all OCF resources and a set of resources that are built on this base schema that may be exposed by OCF Devices. The Resource specification uses RAML as a specification language for the APIs exposed by the resources and JSON schemas as payload definitions for the resource representations; the specification further provides these resource definitions using Swagger2.0. These resources enable modeling of key Use Cases including: Device Control, Notification, Environment Sensing and Control, Energy Management and Energy Saving. Download the OCF 2.0.2 Resource Type Specification. The Smart Home Device specification defines a set of Device Types for use (e.g. in the Smart Home vertical) by making use of functionality defined in the OCF Core Specification where implementation choices exist in the areas of: messaging protocol and network layer. For the Device Types defined, the document specifies which resources are mandatory to be implemented, noting that all OCF defined resources may optionally be exposed by an OCF Device. Download the OCF 2.0.2 Smart Home Device Specification. This specification defines functional extensions to the capabilities defined in the OCF Core Specification to meet the requirements of Wi-Fi Easy Setup. This specification specifies new Resource Types to enable the functionality and any extensions to the existing capabilities defined in the OCF Core Specification. Download the OCF 2.0.2 Wi-Fi Easy Setup Specification. This specification defines functional extensions to the capabilities defined in the OCF Core Specification to meet the requirements of the OCF Cloud. This specification specifies new Resource Types to enable the functionality and any extensions to the existing capabilities defined in the OCF Core Specification. Download the OCF 2.0.2 Cloud Specification. The OCF Resource to AllJoyn Interface Mapping specification provides detailed mapping information to provide equivalency between AllJoyn defined Interfaces and OCF defined Resources. The specification provides mapping for Device Types (AllJoyn to/from OCF), identifies equivalent OCF Resources for both mandatory and optional AllJoyn interfaces and for each interface defines the detailed Property by Property mapping using OCF defined extensions to JSON schema to programmatically define mappings. Download the OCF 2.0.2 Resource to AllJoyn Interface Mapping Specification. The OCF Resource to OneM2M Module Class Mapping specification provides detailed mapping information to provide equivalency between oneM2M defined Module Classes and OCF defined Resources. A oneM2M Bridge is Asymmetric Client Bridge, therefore this document provides unidirectional mapping for Device Types, identifies equivalent OCF Resources for specific oneM2M Module Classes, and defines the detailed Property by Property mapping using OCF defined extensions to JSON schema to programmatically define the mappings. Download the OCF 2.0.2 OneM2M Module Class Mapping Specification. This Certificate Policy comprises the policy framework for the PKI and is consistent with the Internet X.509 PKI Certificate Policy and Certification Practices Framework [RFC 3647]. It governs the operations of the PKI components by all individuals and entities within the PKI (collectively, “PKI Participants”). It provides the minimum requirements that PKI Participants are required to meet when issuing and managing Certification Authorities (CAs), digital certificates, and private keys. In addition, it informs potential Relying Parties about what they need to know prior to relying on issued certificates. Download the OCF Certificate Policy. Specifications in IPR review may be found on the Draft Specifications page here. OCF 2.0.1 Specifications - single file download (English) (10.6 MB). OCF 2.0 Specifications - single file download (English) (15 MB). 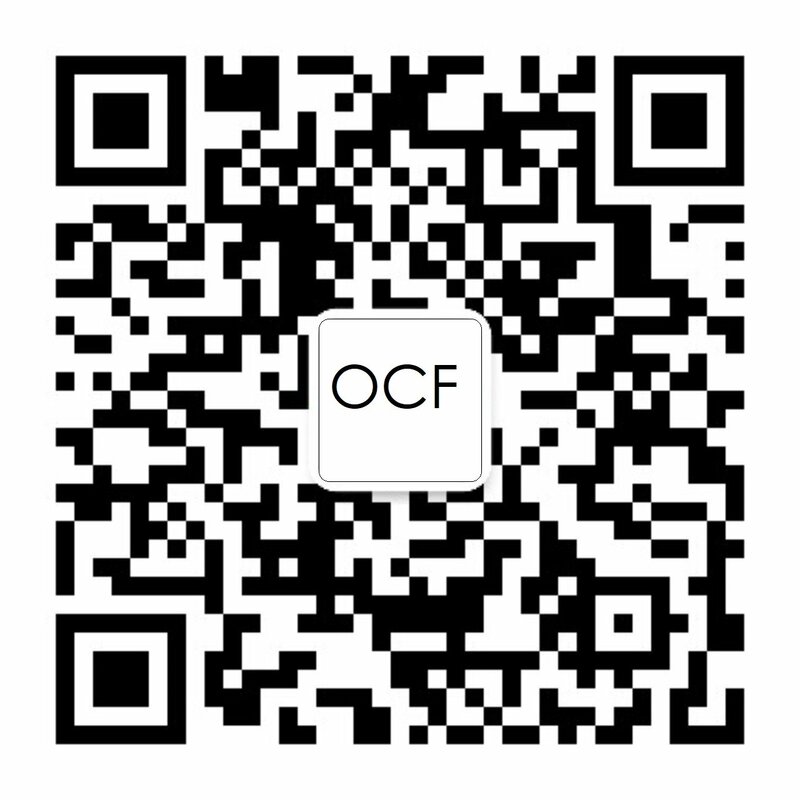 OCF 1.3 Specifications - single file download (English, Korean) (15 MB). Read the OCF 1.0 Specification Introduction and Overview (English, Japanese) for more background. OCF 1.0 Specifications (English, Korean) (dated June 28, 2017; 13.5 MB). Please visit the members-only website for more plugfest event details and access to the certification-related documents. oneIoTa is the primary source for all schemas. USE OF THE INFORMATION CONTAINED HEREIN SHALL BE GOVERNED SOLELY BY THE TERMS AND CONDITIONS OF THE OPEN CONNECTIVITY FOUNDATION, INC. INTELLECTUAL PROPERTY RIGHTS POLICY. THE DOCUMENT AND INFORMATION CONTAINED HEREIN IS NOT, IN ITSELF, A LICENSE, EITHER EXPRESSLY OR IMPLIEDLY, TO ANY INTELLECTUAL PROPERTY OWNED OR CONTROLLED BY ANY MEMBER OF THE OPEN CONNECTIVITY FOUNDATION, INC. OR OF ANY OTHER AUTHORS OR DEVELOPERS OF THIS SPECIFICATION OR OTHER DOCUMENT. THE INFORMATION CONTAINED HEREIN IS PROVIDED ON AN "AS IS" BASIS, AND TO THE MAXIMUM EXTENT PERMITTED BY APPLICABLE LAW, THE OPEN CONNECTIVITY FOUNDATION, INC., AS WELL AS THE AUTHORS AND DEVELOPERS OF THIS SPECIFICATION OR OTHER DOCUMENT HEREBY DISCLAIM ALL OTHER WARRANTIES AND CONDITIONS, EITHER EXPRESS, IMPLIED OR STATUTORY, INCLUDING BUT NOT LIMITED TO, ANY IMPLIED WARRANTIES, DUTIES OR CONDITIONS OF MERCHANTABILITY, OF FITNESS FOR A PARTICULAR PURPOSE, OF ACCURACY OR COMPLETENESS, OF RESULTS, OF WORKMANLIKE EFFORT, OF LACK OF VIRUSES, OF LACK OF NEGLIGENCE OR NON-INFRINGEMENT.